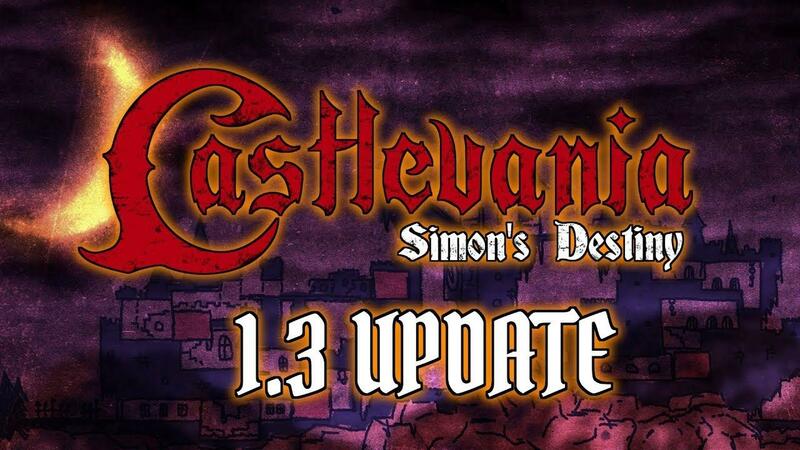 Castlevania : Simon's Destiny is a standalone non-profit GZDOOM based fan game born as a love letter to this legendary franchise. This mod aims to reinvent the very first NES title of the franchise with a nostalgic yet brand new first person gameplay. All the levels from the classic NES era game have been reimagined like never before, experience the tale of Simon's fight against Dracula and his army of the night! If you want to try it out, it requires GZDOOM 3.4.1 or higher which you can get from the official site. You can find the official post on the game on the ZDoom forum (there's a couple of music addons available there) or Mod DB. Saving this for later (at work, now)! I can't wait to check it out! Downloaded, played, and beat :B Never heard of this one, lovely fan project, as I enjoy both Doom and the classic Castlevania games. If you're in the same boat it's well worth killing an hour or so. The 3d aspect does not play to Simon's favor, unfortunately. While I am glad that medusa heads don't send you flying, 3d platforming adds a new dimension to the wonky-ness. The physics of 2d Castlevania were very precise (i.e. simple); the axe knights could throw a low axe to jump over or high axe to duck (then the axe returns, but that's not in this game so w/e). Here I mostly dealt with them by popping in and out of cover and spamming my ranged weapon. The only time ducking is feasible is for the medusa heads since they move in a fixed pattern. Maybe they could've fixed this by locking the axis of enemy projectiles, but then you'd need to position them so they're not easily sniped from above or below... tricky. The skeletons are done well, their bones fly at a predictable arc and they can only throw so far. However, when it comes to your own spec weapons I can only reccomend the boomerang-cross, dagger, and pocket-watch. The axe is really hard to use appropriately, figuring out the arc is strange in first person. It's also so short range it'll be useless in many situations, same goes for the holy water, which may have worked better with a bigger AOE. Oh, and the whip is... alright. The range can be hard to predict in 3d, but the impact does feel satisfying on enemies you can use it on. It'll be useless against most projectile enemies (save for the skelly) and most bosses, since the whipping slows you down allowing for you to get shot in the face; but this can work in tandem with the watch. This looks crazy good. Makes me think of Blood and Hexen rolled in to one. Lovely, but am I the only person who simply can not hit the bats?